Jim Cramer's Real Money - Audiobook (abridged) | Listen Instantly! THE HOST OF CNBC'S MAD MONEY READS HIS BLOCKBUSTER BESTSELLER! Delivered in his distinctive turbo-charged style, Jim Cramer's Real Money is every investor's guide to what you really must know to make big money in the stock market. The best-known source of investment advice in America today, Jim Cramer explains how to invest wisely in chaotic times, and he does so in a way that is as much fun as investing is -- or should be, when it's done right. Drawing on information that Cramer himself has used to make millions on Wall Street, Jim Cramer's Real Money is filled with insider advice that really works. Download and start listening now!
" Excellent book with a lot of valuable advice and delivered with Cramer's classic wit. I think his best comments were in regards to spotting tops and bottoms. I didn't find his valuation advice to be quite as helpful (though certainly a good primer for beginners). I do wish he went a little more in depth with some of the valuation techniques, but this probably wasn't the place for that sort of stuff. It was a truly entertaining read (his real life stories are great illustrations of his points and hilarious), and I would strongly recommend it to anyone interesting in getting into equities. " " Provides a rationale method for investing besides buy and hold "
" I enjoyed reading about smart investing. However, I would only recommend this to a young, wealthy person with tons of time on their hands who would like to spend 30 hours a week to research companies so that they can GAMBLE in the stock market. I doubt this book would do much for anyone without 20 years of experience behind them in active investing. But I got smarter about stuff by reading it. It has some secrets in it! " " Good overview of how to pick stocks but requires 1 hour a week per stock to do it properly... too much time! " " This is a great book for anyone looking to understand the stock market and your 401K situation at work. I wouldn't buy everything Cramer says in this book, but I learned a lot of ideas I can use for my own life. " " Fairly silly and way too confident in tone... it says it's about "investing" but a lot of the book seems to focus on trading. " " Great book, good starting point for learning about the stock market. " " Explains the stock market in a way that I understand. Motivated me to look more into this area of investing. " 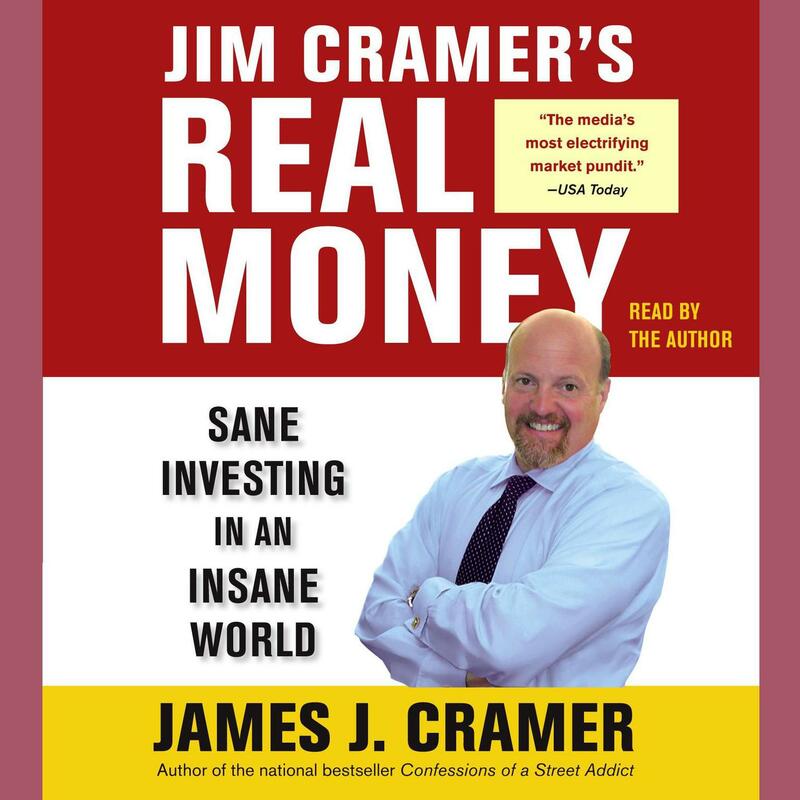 " Cramer is more interesting in person - you don't get that sense of thinly-veiled simmering insanity via text. " " I recently set up a Roth and have no idea what to do with the money and so have checked out tons of financial books. After reading this I have decided I am not ready for stocks but will maybe look into an index fund. I you already trade stocks this might be a good book for you. " " Good, informative book. Haven't had a chance to try it out yet. " " A quality book if you want to invest the time in managing your own money instead of giving it to a mutual fund. He's a good motivator too and crazy. " " Jim Cramer is a top notch entertainer and writes a great book for beginning investors. His explanations are geared to the novice, yet provide sound advice for more experienced investors. He is fun to read. " " How to manage your money, instead of handing it over to a broker or someone else who will never care for your mula the way you would. " " Very useful explanation of basic investing tools and principals. " " Learned a bunch...but the last chapter seemed really important (options) but was a bit rushed and sort of added as an after-thought. I guess I can always read an options book down the road... Looking forward to reading a bit more (Jesse Livermore) and getting in the middle of it all!! " " Fav. Quote, "Nobody cares about your money like you do." "
" Good information - Cramer rocks! " " One of the first investment books I have read. It gives readers a clear and simple way to be their own personal brokers. It was a very good book to read and start a "base" of stock market and financial advice. " " I liked learning the fundamentals, but I could have used less self-promotion. " " A great beginners book to understanding the market, without a focus on all the technical analysis that bogs so many people down. " " This book was difficult to follow because it is very technical. The writing is somewhat sensationalistic. However, the main ideas are helpful. " " JIm Cramer is an entertainer, his books are financial comic books, read but try not to think about it! " " time and time again i am lured into financial books. A weird urge to learn stuff. " " 3 words: Waste of Time. Jim Cramer writes the way he talks, using a big long rant about any subject. There are no chapters, no logical order to the presentation of topics. Try it and you'll regret it. " " Great book for anyone who would like to know more about trading stocks and options. " " Yes, Jim Cramer is an egotistical, obnoxious blowhard, but that doesn't mean he's an idiot. He knows his business, and if you can get around his clown-like antics, you may learn a thing or two about investing. " " The man is crazy but his book is an easy to read introduction to the stock market and to investing. A lot of people have made a lot of money by following the simple common sense advice in this book. I'm one of them. " James J. Cramer is the host of CNBC’s Mad Money with Jim Cramer and co-host of Squawk on The Street. He serves on TheStreet, Inc. board of directors, is a columnist and contributor for TheStreet’s RealMoney and ActionAlerts PLUS, and participates in various video segments for TheStreet TV.